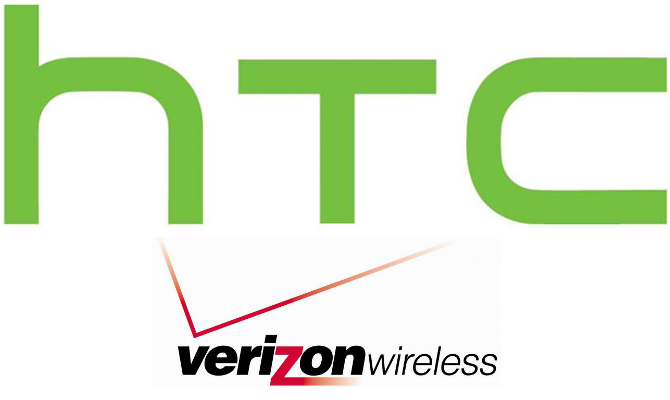 After weeks of speculation and rumors, it appears that the HTC One willnot come to Verizon Wireless. I for one am rather disappointed. I recently reported that a WalMart document showed the HTC One was on it’s away, but apparently there were errors in the document. The news broke on Twitter directly from HTC that the One will not be making it’s way to Verizon Wireless. It was in response to a tweet from a user asking about the HTC One on Verizon. 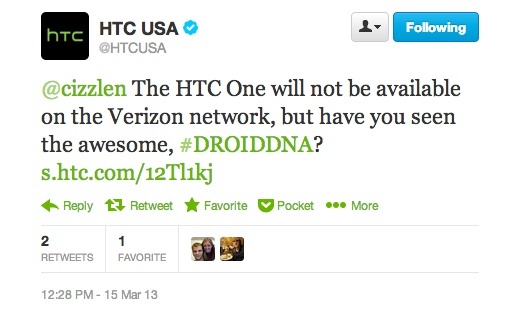 The tweet from HTC states that the HTC One will not be coming to Verizon, but to check out the Droid DNA. I own the Droid DNA, but I was so looking forward to the HTC One. Not just for all the software upgrades, but for the beautiful hardware as well. I’m happy with my DNA, but who doesn’t like the latest/greatest in tech? Especially since the HTC One is expected to be the only high end offering from HTC this year. There is some hope for Verizon Wireless customers. The name DLX Plus, or HTC Deluxe has popped up in a few places. So has the name DNA+. The DLX has already made it’s way through Bluetooth SIG certification, so this may be the Verizon version of the HTC One. This happened last month in February. I don’t understand the reasoning, or who’s fault or idea it is, but in an effort to be “different”, Verizon Wireless ends up giving their customers the short end of the stick. I wish they would give up on the whole Droid line, and just release the newest phones when everyone else gets them. And with the Samsung Galaxy S4 coming out soon, HTC cannot really afford to have their flagship phone missing on the largest carrier in the US. So come Verizon, give us a break already!